The Hauck Zero Plus Comfort Car Seat is in the 0+ group, meaning that it is suitable for use from birth until your baby is 13kg in weight. Its combination of quality and value is allied to versatility, since it can be easily clipped into the Hauck Malibu and Condor pushchairs. Can be fixed in the car using a standard three point safety belt. Padded head support for safety and comfort. Padded five point harness keeps baby secure but comfortable. From the moment your baby is born, one of your overriding concerns will be to ensure that they are safe, comfortable and protected at all times. The Hauck Zero Plus Comfort Car Seat will enable you to do precisely that. It is suitable for use from birth up to 13 kg in weight and can also be clipped onto the Hauck Malibu and Condor pushchairs. This simple versatility, allied to the competitive pricing point, means that the Hauk Zero Plus Comfort Car Seat is an item which offers value alongside excellence. 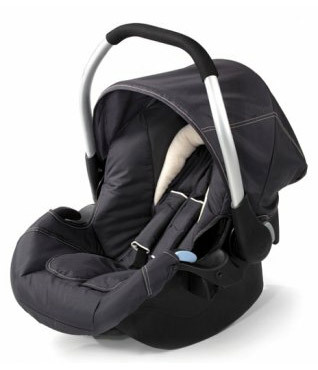 The protection it affords your baby is of the highest order, whilst still maintaining warmth and comfort. The outer shell is strong, tough and rigid, but lined with an inner layer which is comfortable and will cushion your baby protectively in the event of any impact. The fabrics used are soft and easily cleaned, making the seat convenient as well as comfortable and, most importantly of all, safe and secure. Copyright © Babycity 2012, all rights reserved.